In 1995, the indie pop group Stereolab released the compilation album Refried Ectoplasm which contained a song memorably titled "Exploding Head Movie." The band was no doubt referencing director David Cronenberg's 1981 breakout film, Scanners, and its place in pop culture thanks to one unforgettable moment. This is, of course, the infamous scene where (SPOILER!) a man's head literally, well . . . explodes. Occurring almost immediately in the story, it is a startlingly brilliant effect that elicits both shock and amazement from viewers. It also unfairly overshadows the rest of this clever film, that is worth seeking out on merits other than the above sequence. Scanners concerns a race of telepaths who can "scan" peoples' minds to read their thoughts, evoke certain emotions, or coerce them into doing things against their will. Society outcast Cameron Vale (Stephen Lack) is rescued from a life of homelessness by the kindly Dr. Paul Ruth (Patrick McGoohan) who reveals that Vale is a scanner. Ruth enlists Vale to find the notorious Darryl Revok (the always-entertaining Michael Ironside), a rogue scanner who is behind a series of attacks on other telepaths. Vale is joined by fellow scanner Kim Obrist (Jennifer O'Neill) in his quest to locate Revok and discover the secret of the mysterious Comsec foundation that Revok is connected to. Anyone turned off by Cronenberg's other films (particularly his more visceral efforts Videodrome and The Fly) can safely watch Scanners. If anything, it's a technological thriller that has more in common with his 2005 offering, A History of Violence, which was light on gore, yet full of drama and suspense. While the cutting-edge technology of the early-80s looks amusingly quaint today, the story itself is still fascinating. Cronenberg expertly moves the plot through several set-pieces ranging from dramatic to suspenseful and action-packed. As Vale and Obrist get closer to finding Revok, the subplots concerning the Comsec foundation and the origin of the Scanners are neatly resolved. The latter storyline culminates in a fantastic revelation by Revok as he and Vale meet face-to-face in the film's final sequence. A running theme is the periodic disruption of society by the evolution of science and technology. The opening scene takes place in a shopping mall (that appropriate symbol of 1980s excess), where the mood is shattered by Vale scanning an elderly woman, causing her to fall to the floor in convulsions. Another sequence has Vale attempting to mentally download information from Comsec's computer network by scanning the corporation's telephone lines from a distant phone booth. By the end of the scene, Comsec's control room, the phone booth and a nearby gas station have been reduced to flames and rubble after an ill-fated attempt by the corporation to prevent Lack's scanning (an exaggerated prediction of today's malevolent computer viruses!). The only area where the film comes up short is in the acting by the leads. Lack hardly registers any screen presence with his wooden performance, while O'Neill most of the time seems like she'd rather be somewhere else. Thankfully, this is balanced out by Lawrence Dane in a gleefully scene-chewing role as a Comsec executive in league with Revok, while McGoohan turns in a terrific performance as Dr. Ruth. He is relaxed and confident throughout, appearing legitimately enthused about the film and his character. As a result, this makes for one of his better post-Prisoner appearances -- one scene even has him entering a room perfectly timed to a familiar-sounding thunderclap! This was one of only two horror films McGoohan made (along with 1997's Hysteria) and he ended up in it as a fluke. 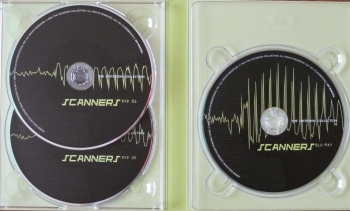 "It was by chance that I got involved in [Scanners]," he told Premiere magazine. "The producers had asked me to write a script, nothing to do with this film, and I went to Montreal to give it to them. They liked it, paid me, and asked what I was doing for the next two weeks. I told them I was going back to join my wife. Then they proposed that I do Scanners. I accepted on condition that they invite my wife to stay in a nice hotel for the duration of the filming." McGoohan and Cronenberg didn't exactly hit it off, however, with the actor retaining bemused memories of the experience. "It's a film which made its director well-known," he later quipped. "What's his name again?" 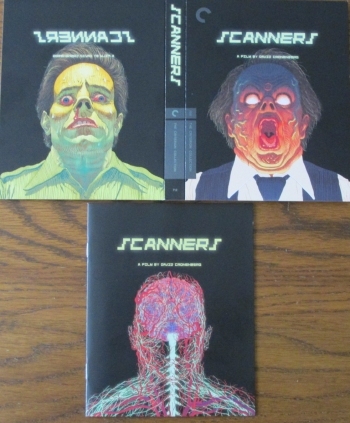 In July 2014, the Criterion Collection released Scanners in a deluxe three-disc DVD/Blu-ray set. The film was restored in a gorgeous 2K digital transfer supervised by Cronenberg himself. Extras include new and vintage documentaries containing interviews with him, Lack and Ironside; trailers and radio spots; a new digital transfer of Cronenberg's first film Stereo; and a booklet containing an informative essay by film critic Kim Newman. Simply put, this a fantastic presentation of a great film. 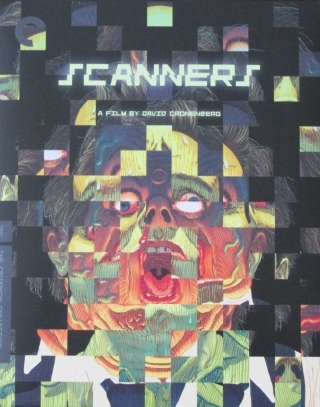 Criterion continues to issue definitive versions of notable cinema on DVD and Blu-ray, and their release of Scanners is no exception. This one is highly recommended.